The Address Parse Transform cleans addresses and places data into standardized columns, helping with data de-duplication and deliverability of mail. 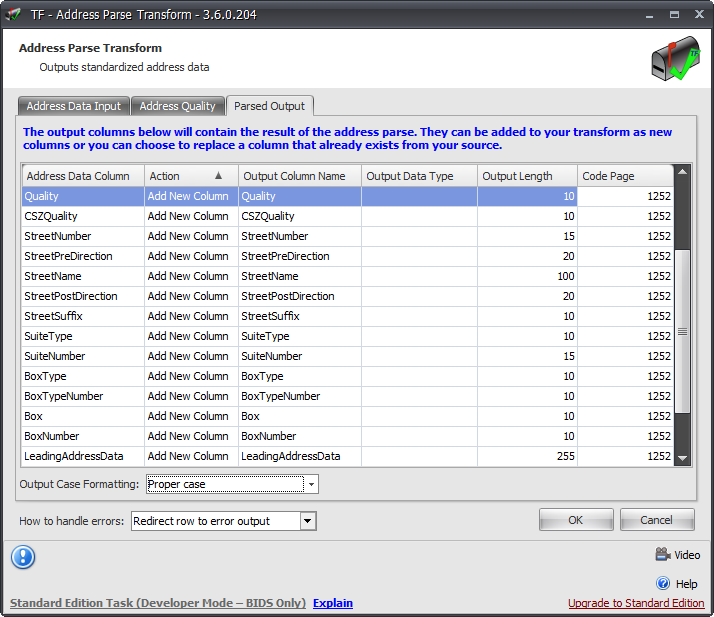 The Address Parse Transform is used to parse unformatted address data and transforms it into USPS standardized address data. This feature is especially useful for data de-duplication efforts or master data management projects (such as non-standard address data comes in and proper address data comes out).